>Because I’m such a connoisseur of fine beverages, also known as I like to drink sometimes, my contribution to this year’s Thanksgiving feast is to provide the fixings for a cocktail. Pour 1 teaspoon of sweet vermouth into each martini glass; swirl glass to coat and pour out excess. Set aside. Fill a martini shaker with ice cubes. 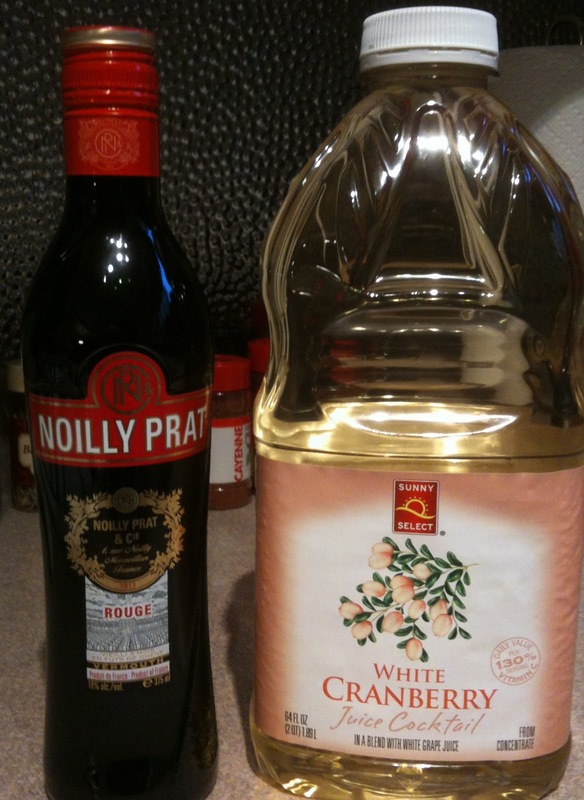 Pour 1 part gin and 2 parts white cranberry juice. Shake vigorously. Pour into martini glasses. Serve chilled with a garnish of whole cranberries on a toothpick. Personally, I don’t garnish with a cranberry. After one of these drinks, you will probably think eating the gin soaked cranberry is a good idea. Have you had a fresh cranberry? Yuck. Be warned, when this drink is made correctly, you can’t really taste the alcohol, so you might be inclined to drink it quickly. Proceed with caution. I won’t be held responsible for any shenanigans resulting from the imbibing of this lovely cocktail.